Sacrament of Reconciliation: April 15, St. Francis, at 6:30 p.m.
Day of Prayer: “Praying the Psalms,” April 16, at Notre Dame Retreat House in Canandaigua, N.Y.
Mass of the Lord’s Supper: April 18, 7:00 p.m. at St. James the Apostle church. Good Friday, April 19: It is a day of fast and abstinence. Celebration of the Lord’s Passion: April 19 at 7:00 p.m. at Holy Cross. Diocesan Social Ministry Conference: 10:30 a.m., May 2, Notre Dame Retreat House, Canandaigua. The Sacrament of Reconciliation, with the opportunity for private confession, will take place on Monday of Holy Week, April 15, at St. Francis Solanus church at 6:30 p.m. This ritual takes place during the Mass of the Lord’s Supper at 7:00 p.m. at St. James. We need of 12 adult parishioners to volunteer to participate in this rite. Please volunteer. There are sign-up sheets in the foyers of each church. Mass of the Lord’s Supper, will take place on Holy Thursday, April 18, 7:00 p.m. at St. James the Apostle church. The Mass will include the ringing of bells at the Gloria and the washing of feet ritual (see above). The Mass concludes with a procession with the Blessed Sacrament to the Pine Room. For those who wish, adoration and private prayer will continue until 10:00 p.m. It is a day of fast and abstinence. When fasting, a person between the ages of 18–59 is permitted to eat one full meal, as well as two smaller meals that together are not equal to a full meal. All those over the age of 14 cannot eat meat. There will be Stations of the Cross at 3:00 p.m. at St. James the Apostle and a Celebration of the Lord’s Passion at 7:00 p.m. at Holy Cross. The passion liturgy has three major parts: the Liturgy of the Word, the adoration of the Holy Cross, and Holy Communion. The Easter Vigil in the Holy Night will take place at 8:00 p.m. at St. Francis Solanus. The liturgy begins outdoors with the blessing of the fire and preparation of the Paschal (Easter) candle, the procession, the Easter proclamation (Exsultet), the Liturgy of the Word, the blessing of Baptismal water, the renewal of Baptismal promises, and the Liturgy of the Eucharist. Easter Sunday, April 21, will follow our regular Sunday Mass schedule: 9:00 a.m. at St. James and 10:30 a.m. at Holy Cross. At both Masses there will be the rite of the renewal of baptismal promises. There will also be an Easter egg hunt after Mass at St. James. Pope Francis has asked our parish to support the Pontifical Good Friday Collection, which helps Christians in the Holy Land. Your support helps the church minister in parishes, provide Catholic schools and offer religious education as well as helping to preserve the sacred shrines. The wars, unrest, and instability have been especially hard on Christians. In these times of crisis, the Pontifical Good Friday Collection provides humanitarian aid to refugees. When you contribute, you become an instrument of peace and join with Catholics around the world in solidarity with the Church in the Holy Land. For more information about Christians in the Holy Land, visit www.myfranciscan.org/good-friday. It was reported on April 9 that 108 parish households have pledged $30,472 to the Catholic Ministries Appeal (CMA). We have reached and surpassed the given goal of $29,979! This is exceptional and good news. A “thank you” to all who have made this possible. Be aware that our parish will receive 50% of what is received over goal. Those wishing to make a pledge to the CMA can still do so. The CMA provides funding for important ministries, services and programs that support our parish and strengthen our whole Church. To make a pledge to the CMA, there are pledge envelopes in the foyer of each church that may be mailed directly, sent to parish office, or deposited in the offertory collection. To make a gift online go to www.dor.org/cma. Social media got you down? Come and follow Mary, Mother of Mercy, on Facebook and Instagram! Both platforms will keep you updated on parish events (including photos), and the church community. It is also a good way to view positive devotional messages. 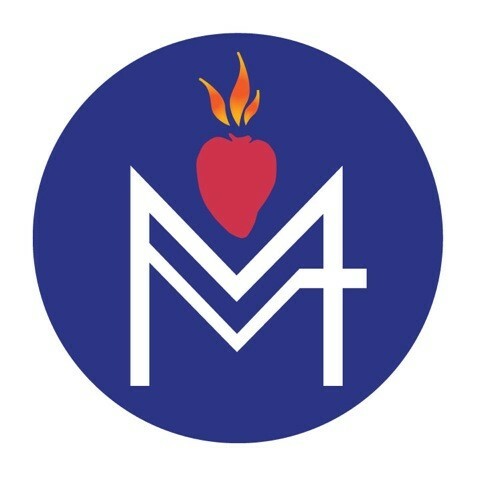 The Facebook link is www.facebook.com/marymotherofmercyparish and on Instagram you can find us at @marymotherofmercyparish. If you have something you would like to add to our parish pages, please contact Susan Guydosh at smguydosh@gmail.com. A presentation on the Shroud of Turin, providing the latest scientific evidence, will be held on April 22 at 6:30 p.m. at St. Francis-St. Clare Ministry Center, 25 Center St. in Waterloo. The presentation is based on six days of the highest-level forensic studies. “This review provides the forensic evidence behind the belief that the Shroud is not a forgery but holds the miraculous image of a man, Jesus Christ.” For more information call presenter Frank Netti at 315 246-7021. We thank all of who have participated in our largest campaign ever! What’s next you ask? Day 41! Come join others praying peacefully on Fridays throughout the year, or, any day that suits your schedule. Stay up to date with state legislative motions that will protect women, the unborn, and families affected by abortion expansion-join the Catholic Action Network of the NYS Catholic Conference. For more information go to http://www.nyscatholic.org. Easter Vigil, April 20, beginning at 8:00 p.m.